To help us meet our exhibiting objectives, generate memorable interactions with visitors on stand and capture relevant lead data, our team of in-house specialists developed an exhibiting star baker game. The baking themed game compared a cake’s three core ingredients; the sponge, filling and decoration, to the three core components of a great exhibition stand; the structure, design and engagement tools. Players were then asked to identify which ingredient they would spend the most on, and which would receive the least of their budget, and generated an image of what the final cake would look like. 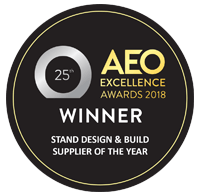 This was designed to provide us with valuable real-time insight into how we could help marketers spend their exhibiting budget more wisely, thereby delivering a greater return on investment. Using a giant spoon with a built-in Wii controller, game players had to beat the clock and stir their cake mix as quickly as possible to be in with a chance of winning Afternoon Tea for Two at Claridges. Supporting the game, we used RFID triggered client case study videos that launched when you scanned a jar filled with baking ingredients, which succinctly explained the benefits of using engaging content on-stand. 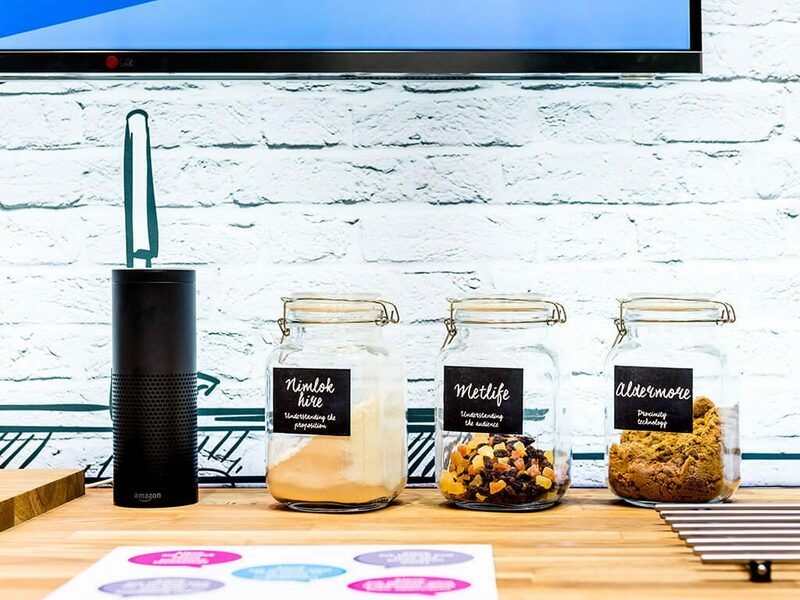 An Amazon Echo also provided information about Nimlok’s services to visitors as they asked Alexa predetermined questions. At MWL 2017 we wanted to demonstrate how we create engaging exhibition stands that deliver measurable return on investment. It was important for us to communicate how we reduce client’s investment by using bespoke hire architecture, while delivering ROI through memorable engaging techniques. 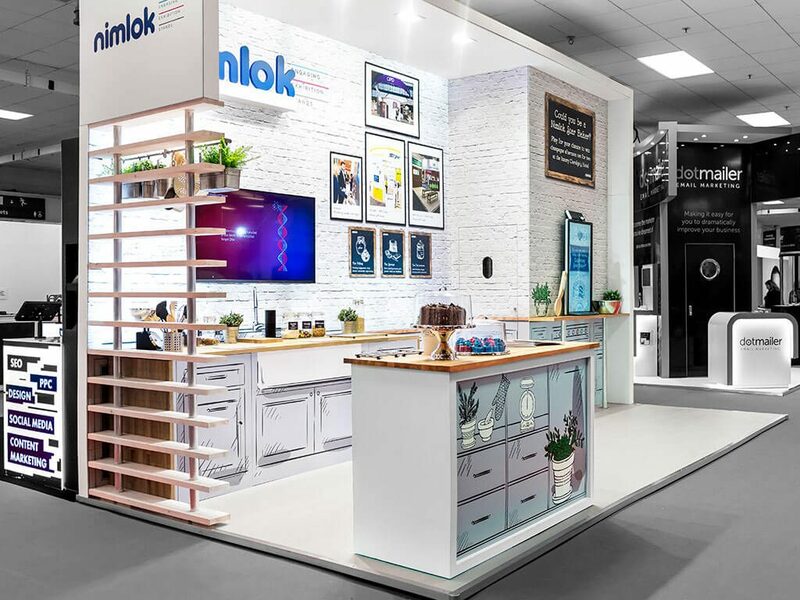 By increasing awareness of Nimlok’s offering amongst marketers at MWL, we also wanted to generate qualified leads of exhibitors for our sales team. 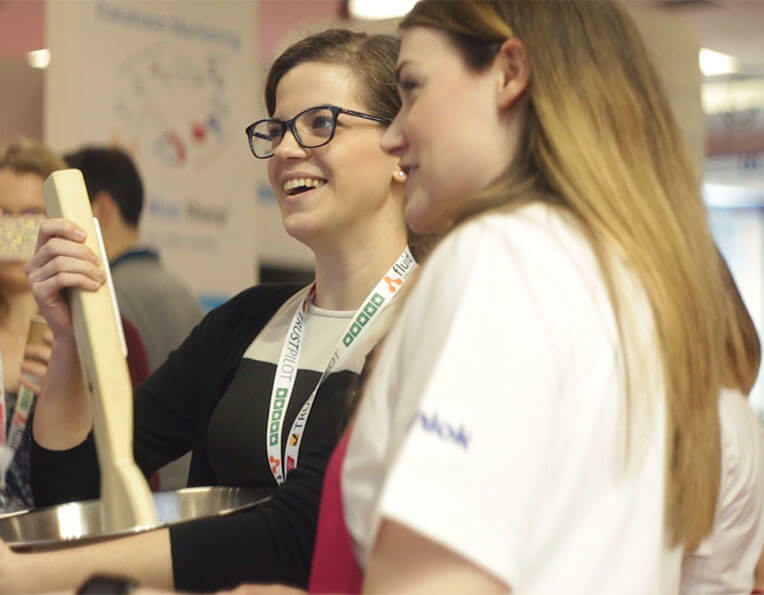 Our campaign highlighted where exhibiting fits into the ‘marketing mix’ with a cake baking engagement game and survey combined with a kitchen-themed stand. The game showcased our engagement capabilities and helped us to understand how marketers spend their budget on an exhibition stand. It gave real-time insight to the staff member speaking to the player and helped qualify whether the Nimlok proposition of hire and engagement was relevant to the visitor. To demonstrate how clients can stretch their budget further by hiring their stand’s architecture, without losing out on a bespoke on-brand design, we used colourful graphic design to turn our own stand’s hire architecture into a unique attention grabbing mock kitchen environment. Across the two days, more than 100 visitors played our Exhibiting Star Baker game, testing their knowledge on what is needed to create the perfect exhibition stand. In addition to this, 31 appointments were made at the show, with 30% of these converting to real sales opportunities within one month after the show. “Marketing Week Live 2017 was a resounding success. 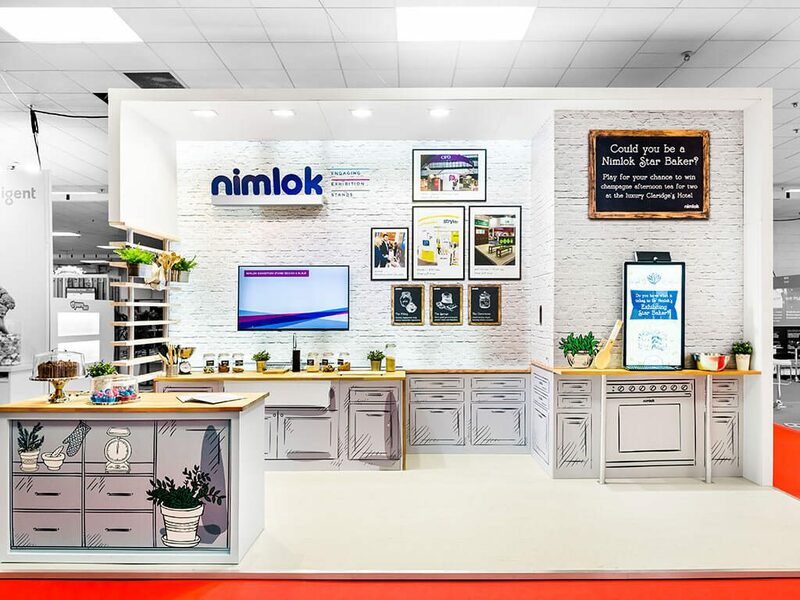 By clever promotion and adherence to our own campaign theme we illustrated how Nimlok can create engaging stands that deliver measurable return on investment.